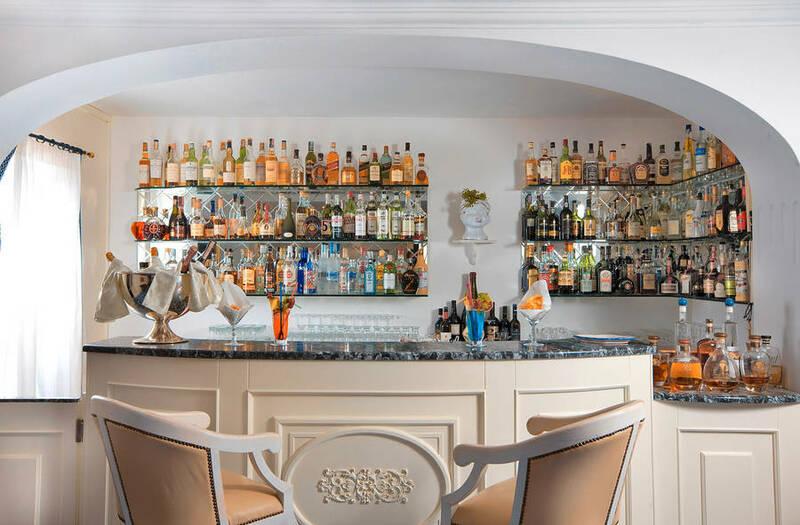 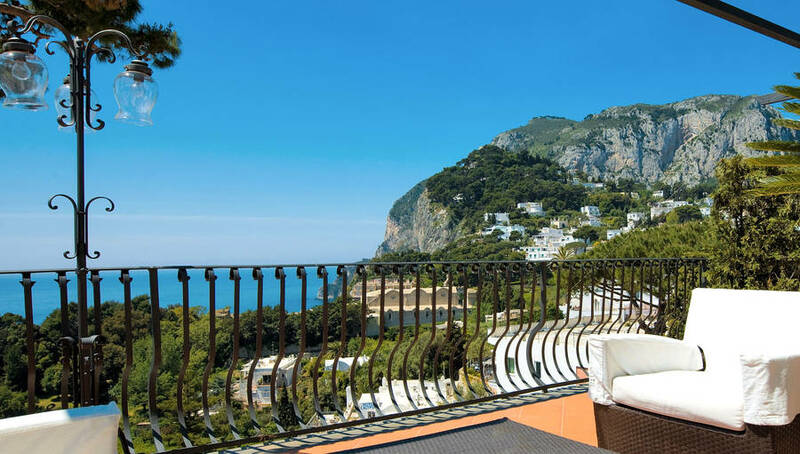 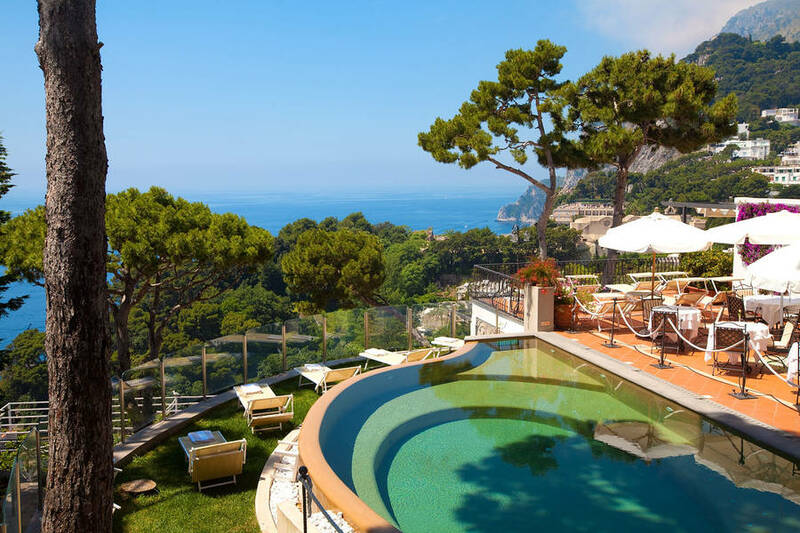 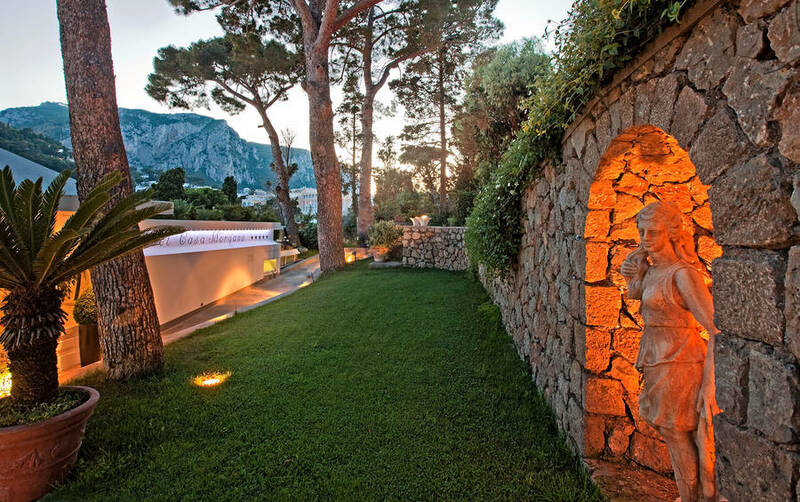 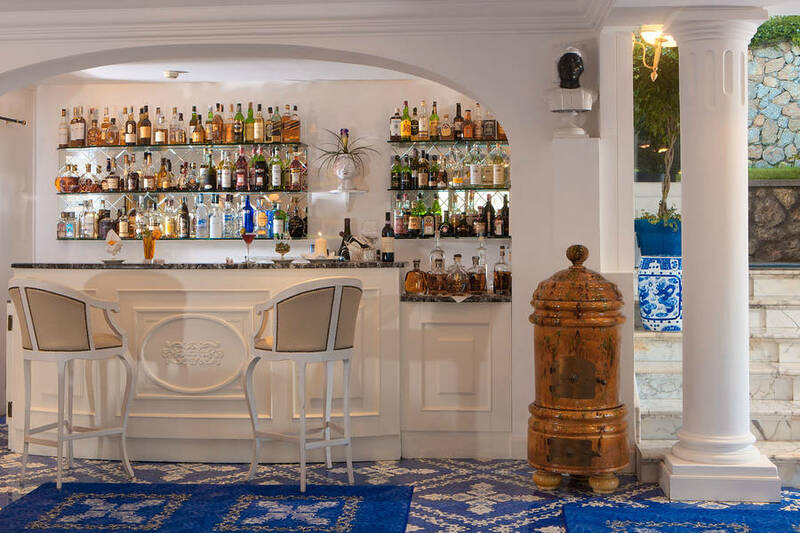 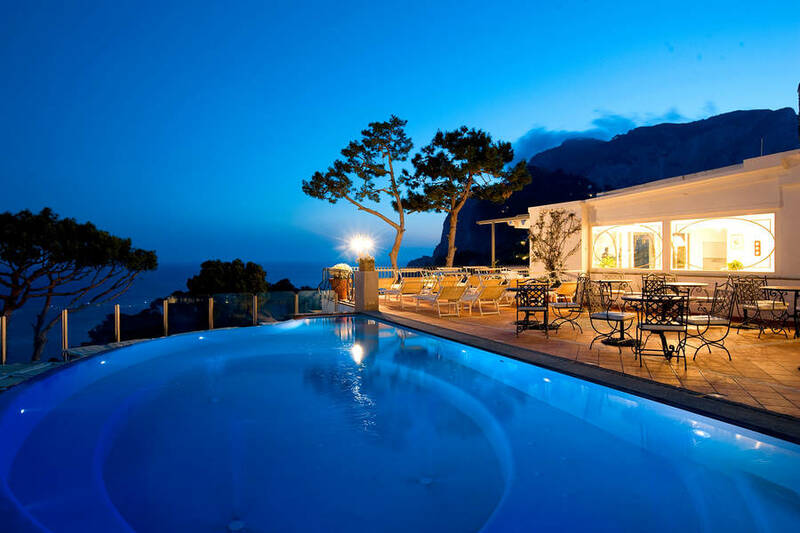 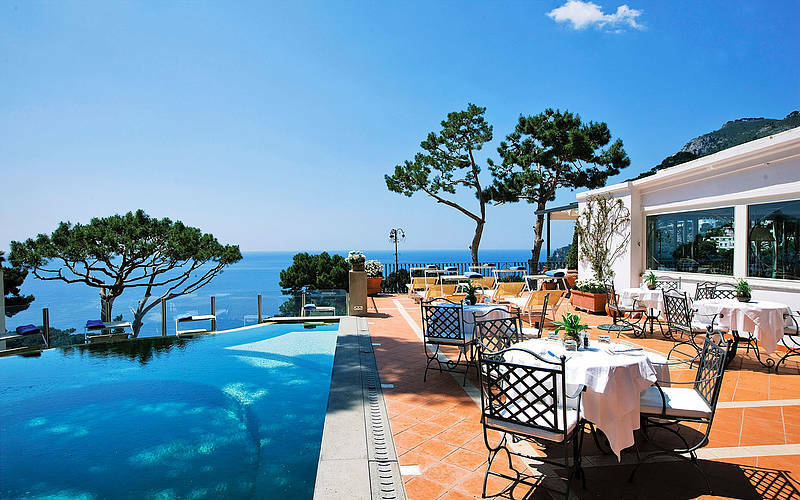 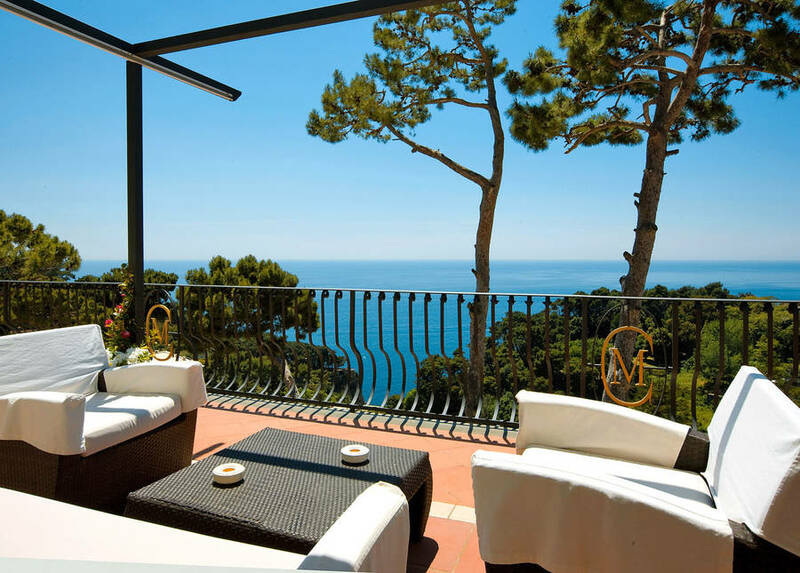 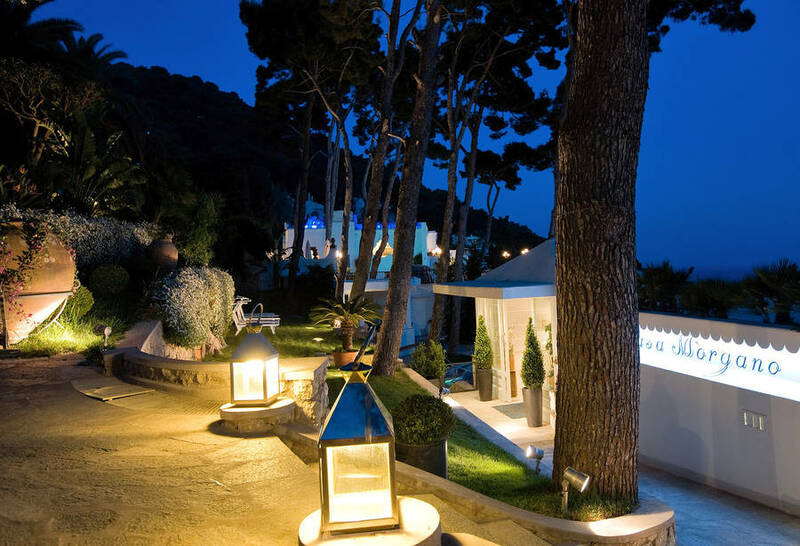 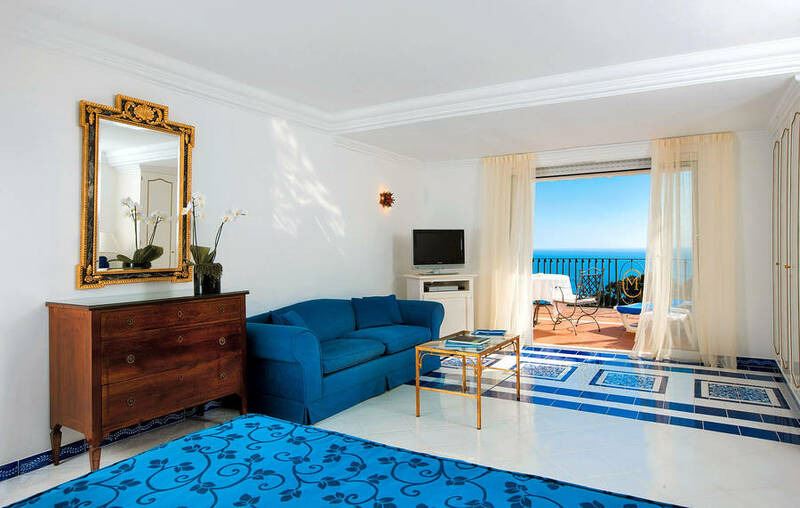 An intimate and irresistibly Italian boutique hotel, within meters of the Tragara viewing point and the Faraglioni, Capri's Casa Morgano is one of the most sought-after 5 star properties on the island. 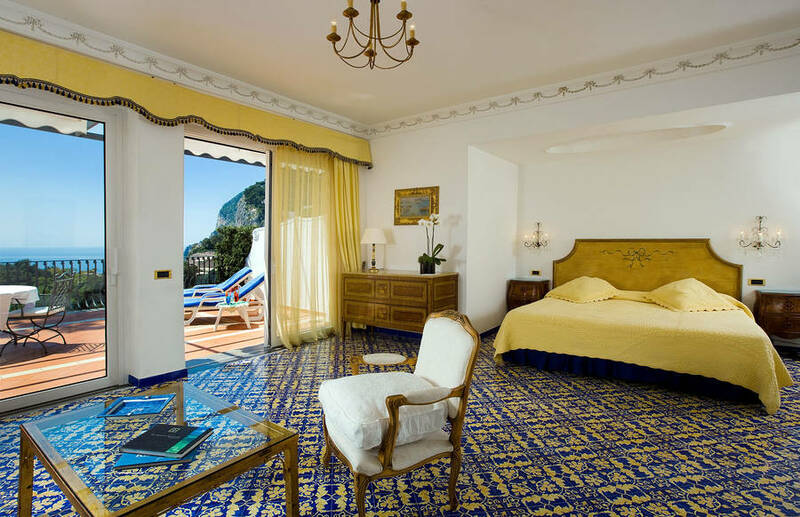 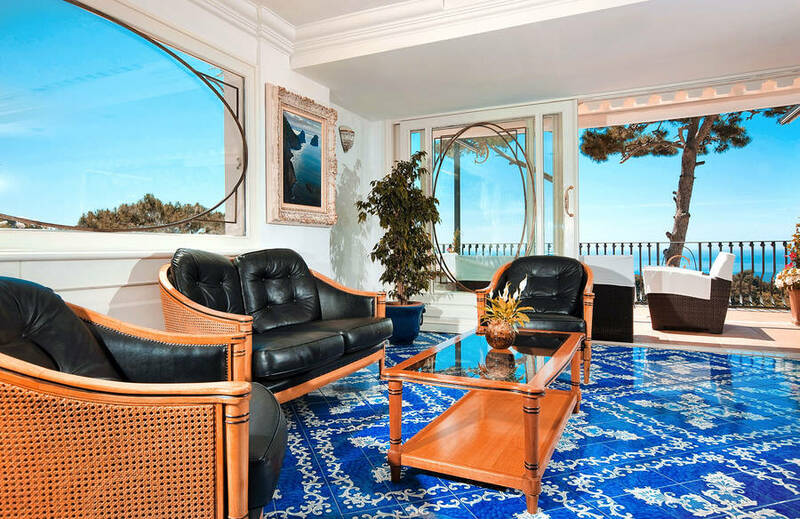 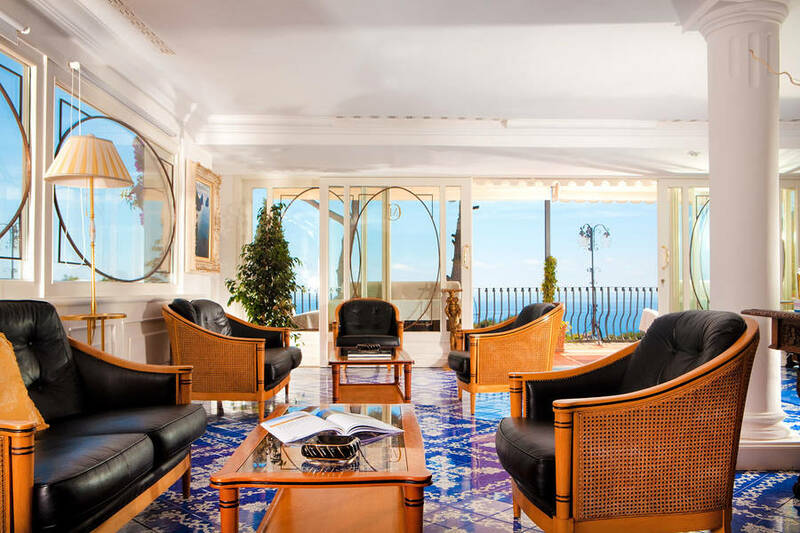 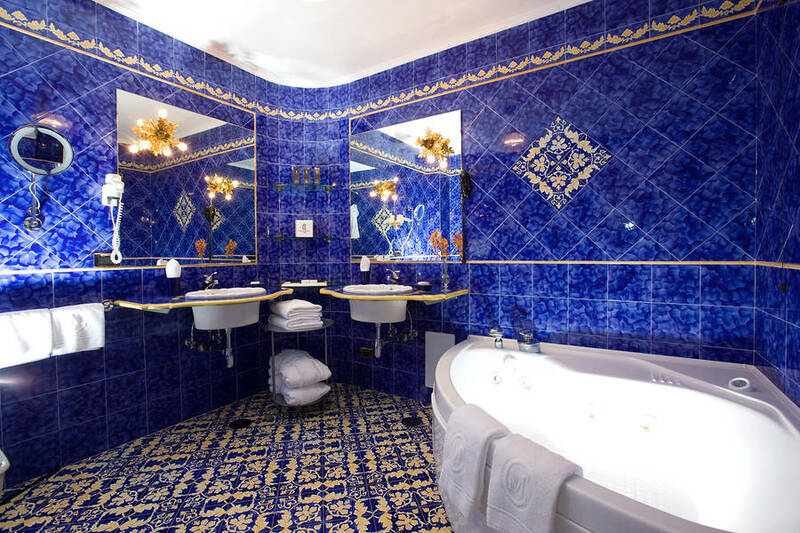 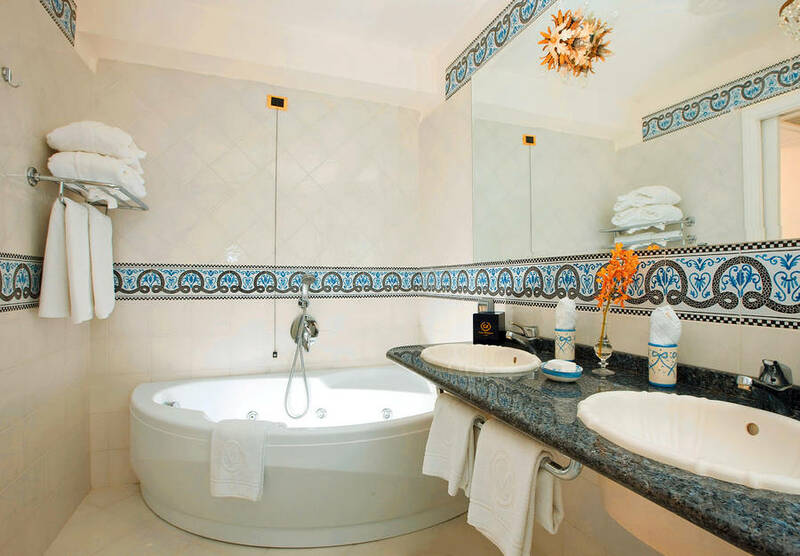 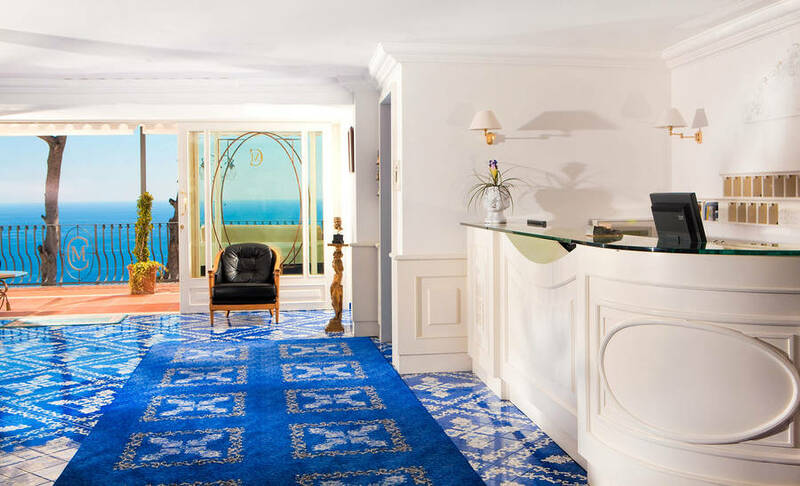 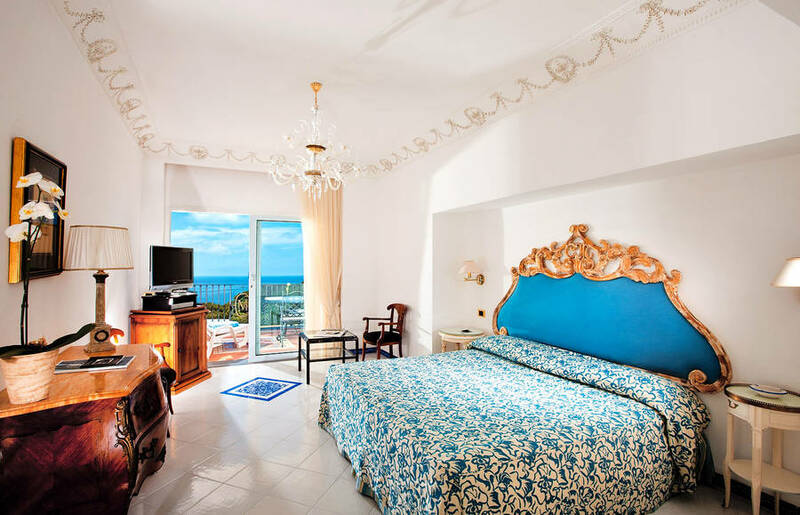 Sweeping terraces, floors in hand-painted majolica, ceilings decorated with delicate stucco work, and exquisite items of period furniture: Casa Morgano's light-filled bedrooms and suites have all the features of Capri's most elegant private homes. 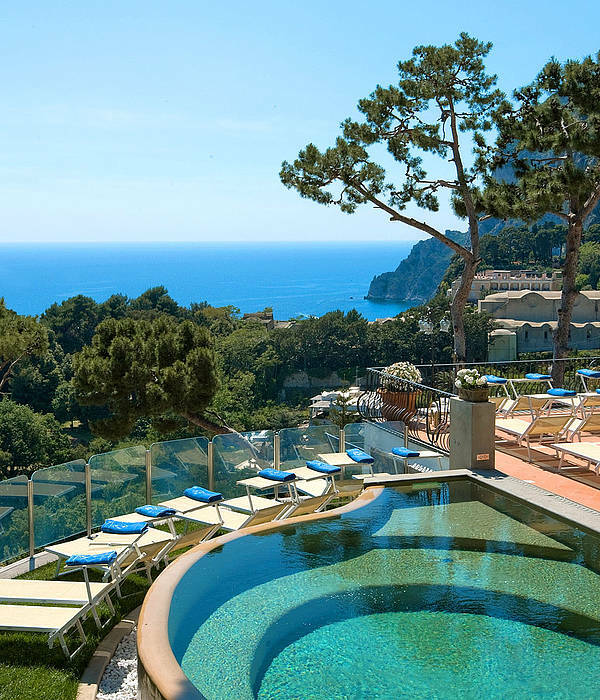 Located on the hotel's largest terrace, Casa Morgano's panoramic swimming pool provides the perfect spot in which to while away the day, enjoying the sunshine and the excellent Mediterranean cuisine served in the poolside restaurant. 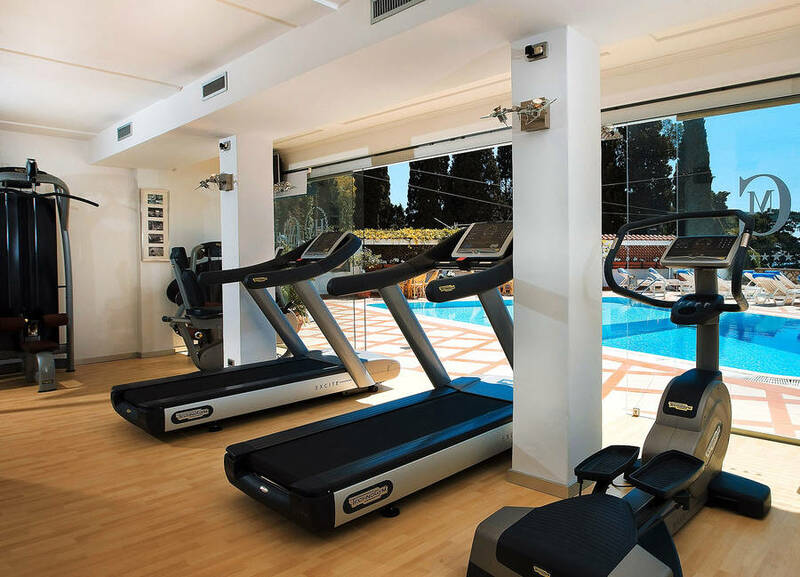 Stay at Casa Morgano and you'll have access to a state-of-the-art gym facility and a tennis court, located in the immediate vicinity of the hotel. 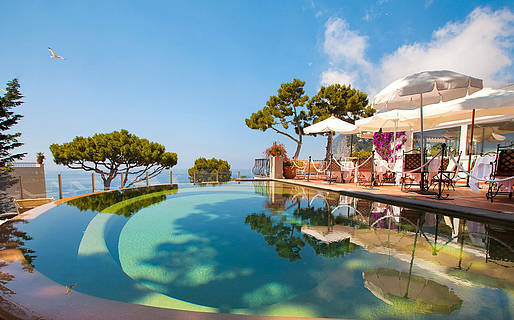 And there's more! 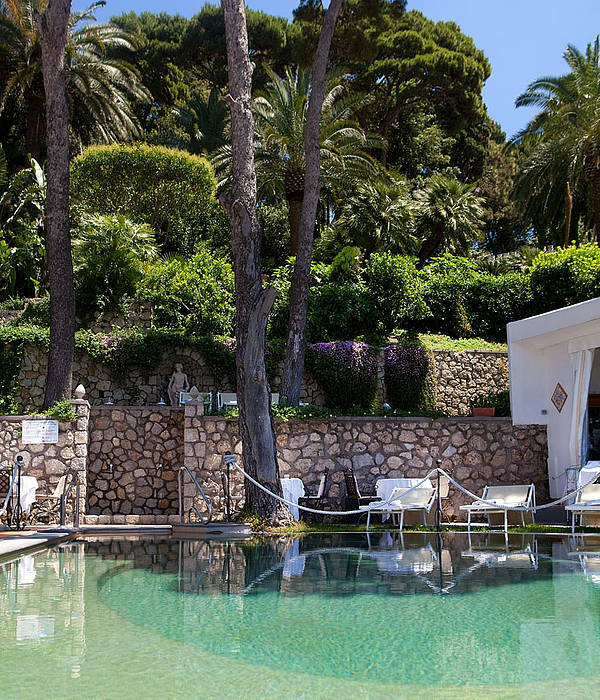 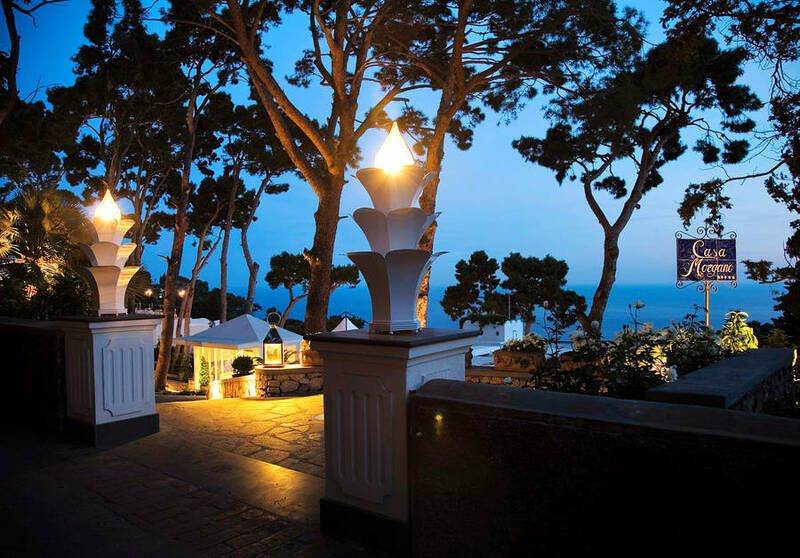 When you arrive at the hotel, you'll be presented with a Personal Shopping Card entitling you to discounts in some of Capri's most prestigious boutiques and designer fashion stores!